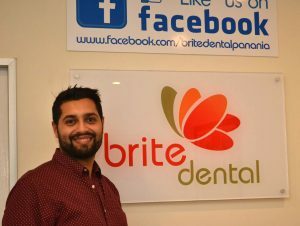 Dr Tara Kader migrated to Australia in 2000 and worked as a dentist with HCF Dental and Primary Dental before deciding to establish “Brite Dental” in December 2012. A highly skilled accomplished dentist, Dr Tara is focused on providing complete oral health care with an emphasis on painless, conservative and high quality treatment procedures. She is committed to ensuring patients achieve a positive aesthetic outcome and experience a relaxing and enjoyable appointment. Dr Tara is passionate about preventive dental care and patient education. 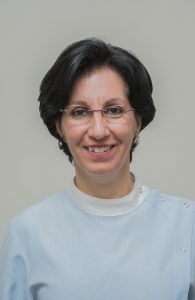 She has an interest in all aspects of general practice including cosmetic and restorative dentistry and endodontics. She is a gentle, caring and sensitive practitioner who adheres to the highest standard of care. Tara is an experienced and compassionate practitioner who understands patient nervousness and anxiety concerning dental procedures. As a member of the Australian Dental Association (ADA), Dr Tara annually undertakes many professional development courses run by specialist local and international speakers across a range of dental disciplines. Dr Saad graduated from University of Sydney with DMD Dentistry. He was awarded merit bounded Schweitzer Scholarship during his time at Sydney university. He considers himself lucky to have worked in different settings such as private clinics and public hospitals gaining an array of experience. He truly enjoys working with patients and finds it a humbling experience. He looks forward to understanding patients needs and helps them achieve it. He sees that working with children is an important aspect where a great opportunity lies to teach children good oral habits from an early stage. In his spare time, he enjoys playing soccer, fishing and spending time with family and friends. He enjoys travelling and is frequently caught planning his next trip. While he is home bound though, he looks forward to seeing you at the clinic. Dr Andrew graduated from the University of Sydney with honours. He has been working for many years in the Panania & Revesby area seeing patients from East Hills to Picnic Point. Dr Andrew has a special interest in helping with anxious patients offering his opinion and expertise in a guilt free, pressure free and judgement free environment – he likes to help his patients not lecture them! 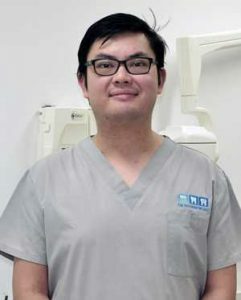 He sees patients who regularly go to the dentist and those who haven’t gone to the dentist in many years and treats them with the same gentle approach.